It doesn’t do what it is supposed to do. 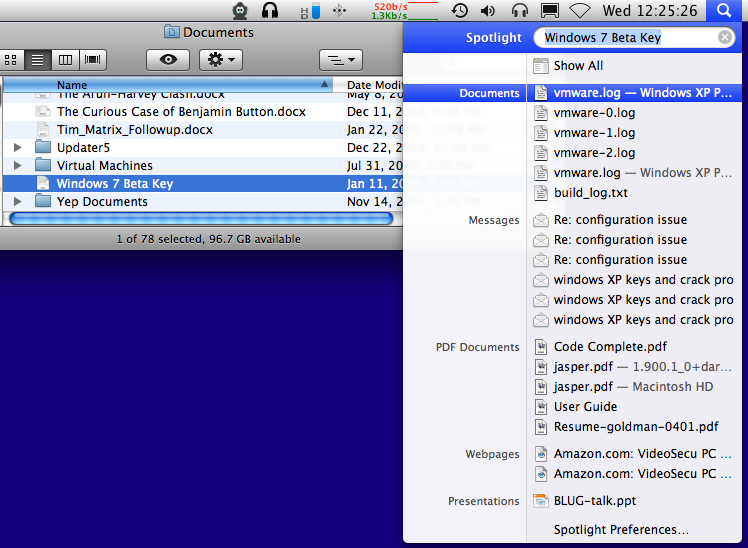 In this screenshot, I’m searching for the file that contains my Windows 7 Beta keys. See for yourself how well Spotlight performs. I keep thinking that I’ve been too harsh on Spotlight. I should give it another chance. 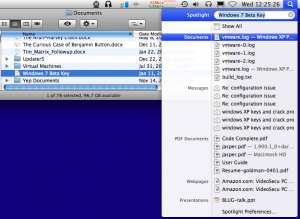 Times passes, I think to myself, “where did I put that file with the Windows 7 keys? I’ll bet I named it something obvious. Let’s use spotlight!” Then it spits in my face.